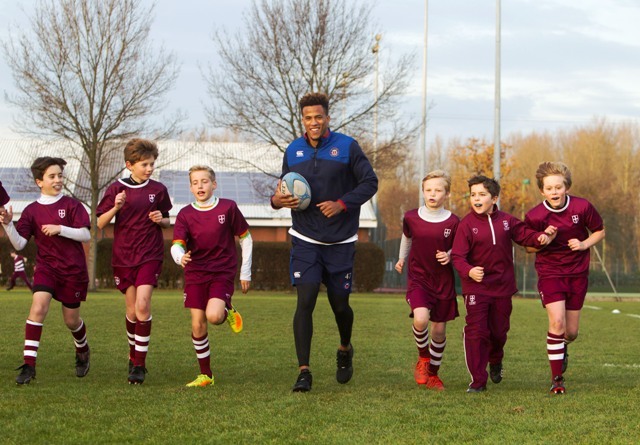 ANTHONY Watson is a man on a mission for club and country in 2017, hell-bent on regaining his England jersey ahead of the Six Nations after spending a frustrating autumn on the sidelines through injury. The Bath flyer admits he has a fight on his hands to win back his England place after the sparkling form of Jonny May and Marland Yarde helped Eddie Jones’ side to an unbeaten 2016. Watson has been out since October with a broken jaw, allowing the likes of Yarde, May and Semesa Rokoduguni to stake their England claims ahead of February’s Six Nations. Prior to his injury, Watson was among the first names on Jones’ team sheet – scoring four tries in the Australian’s first nine Tests in charge but he was absent in November as England swept aside South Africa, Fiji, Argentina and Australia. But Watson is up for the challenge and is relishing the chance to prove a point just in time to hopefully impress Jones and return to being England’s premier winger ahead of their clash with France on February 4. 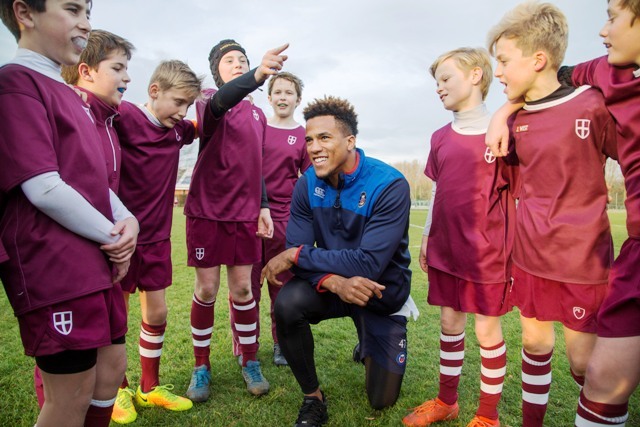 “Pressure and competition is why you play, you don’t want to rest on your laurels all your life because, if you do, you won’t ever get better from it,” said Watson, who returned to his former school, St. George’s College in Weybridge, to take part in a training session to promote Bath Rugby’s Aviva Premiership match against Leicester Tigers at Twickenham Stadium on April 8 2017. “Jonny, Marland and Semesa have taken their chances and the pressure is on the likes of Jack [Nowell] and I to show we deserve to get back into the team. “I am desperate to get that starting berth for England and it is going to be a challenge. "I love representing my country and I won’t be resting on any laurels – I will be striving to be the best I can be at Bath and if that gets me another shot then great. “You watch the games when you are injured and you want England to win matches and do the best they can do. I have got good mates out there so I am always routing for them. England’s rise from World Cup humiliation in 2015 to becoming the No.2 side in the world has been remarkable, but Watson insists they won’t stop just yet as they hunt down New Zealand. A second Six Nations Grand Slam in succession would see them break the All Blacks’ record for consecutive Test match wins and the 22-year-old admits it would complete an incredible turnaround after the lows of 12 months ago. “It is testament to everyone in the set-up that we managed to go a year unbeaten – it is an incredible achievement,” added Watson. “Everyone has been very hungry for success for a long time, especially since the World Cup, so that momentum has built and built to the point where confidence in the squad is huge. “I think it has been echoed by the boys but all we can do is learn from these autumn games, see where we went wrong and put things right. Watson, who attended St. George’s College, leaving in 2012, also admitted his excitement at heading to London with Bath Rugby for The Clash in April.